Jennifer’s Camino Portuguese – anticipation! I’m so looking forward to walking the Portuguese Camino. I have been doing some walking in preparation. Not too much – I don’t want to peak too soon. I don’t mind hills but long stretches of flat are sooo boring. Each day I try and take a different route but the very nature of walking from home means that I always return home. Bill amazes me. He has a training route he enjoys. He walks that same route over and over again. He only varies that route to walk up Mount Misery. But I try and find a different path each time, turn a corner I’ve never been around or up a laneway I didn’t know was there. Anything so I’m not going over the same ground. I’m really looking forward to going for a walk in Porto and not ending up in Porto but ending up in Santiago! And I’m looking forward to walking in the Spring when everything is new and fresh. The Spring flowers will be coming out. The bulbs that I must plant before we leave will be blooming there. Amazing! And I’m also really looking forward to eating Portuguese tarts. I know I will walk past lots of pastry shops because Portugal has so many and I’ll just have to go in and have a sit down and try something I’ve never had before! Yummy! Then there’s the lace museum in Vila do Conde. I’m training hard so that I’ll be capable of going for a walk at the end of the day (after 24kms or something!) so that I can find this museum. That’s how much I love lace! But what I’m really looking forward to is experiencing the extraordinary energy line that is the Camino Portugues. Pilgrims and others have been walking on this energy line for thousands of years. At some point St James himself walked this route and legend has it that he preached at O Porrino. I love legends. Legends are energy gatherers. Lots and lots of people down through the ages have placed their thought and their faith in St James. He travelled the way we will go both when he was alive and after his death. And I’m looking forward to making new friends. Having someone to walk with and have a chat with and learn new things. To have a shared time, a shared history with others. Having an adventure on my own is never as much fun as with someone else. For those of you coming on the tour, I’m so looking forward to meeting you all in person!! This entry was posted in Post Camino and tagged Camino, Camino Portugues, Camino Portuguese, Santiago de Compostela, The Way of St. James by Bill Bennett. Bookmark the permalink. How was the movie on Friday? Six Ways to Santiago! We are going in two hours to see it here. I loved it! It was a homecoming for me! You know what I always say – “Once Bitten”. Glad to know you and Dale will be returning again. Maybe we will bump into each other, I’m already formulating a 2015 “long” Camino, tossing around the idea of the Norté or possibly the Valcarlos route of the Francés again. Let me know what you think of the film after you see it. Be warned!!! The Camino can take over your life!! Since my husband and I walked the Frances route in August and September, we have thought daily about returning to walk again. Saving now for a return trip. It gets in your blood. Seems like the excitement you have before is just as strong after walking the Camino. We will be there with you in spirit on this trip and hopefully in person on the next! Hooly Dooly! You will have a wonderful time. Spot on Lynda! I hope to be on the next trip too! Hooly Dooly! Hi Jen – fantastic post ! “The moon and the stars are eternal travellers. Even the years wander on. A lifetime adrift in a boat, or in old age leading a tired horse into the years. 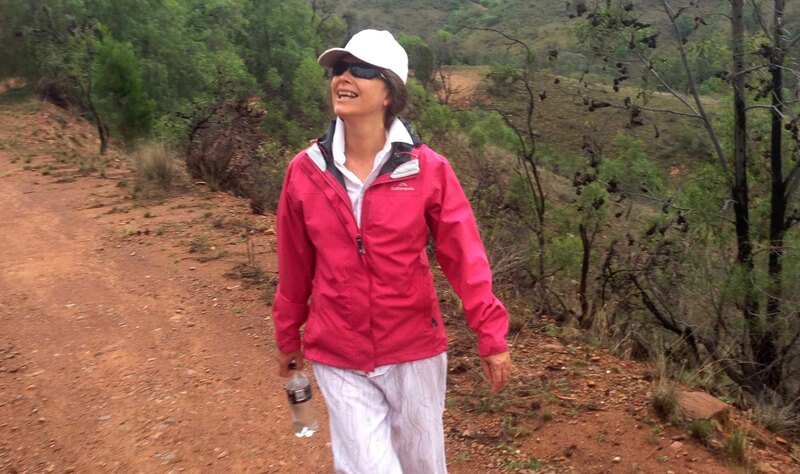 Enjoy the remaining weeks of your training and take joy in every step – both here at home and on the Camino Portugues. Hi Jen – thanks for the positive feedback on the quote – it’s a great one isn’t it! You’ll be fine on those ancient paths, the energy of your footsteps joining the energies of millions of pilgrims who have walked before you. I hope that you’ll all be able to take a walk after dinner at night so you can take in the beauty of the moon and the stars – how magical! Jennifer, it is always such a pleasure when you write a blog entry. I am with you on wanting to walk a different route every time, there is so much to see and hear. I smiled when I read about your lace museum and your interest in lace…if we were closer, you could borrow all the books I have on that subject. I have a story about my adventure in finding some Venetian lace in Venice, but that is for another time. I so will enjoy reading about your Camino and all the various foody adventures you are all experience. Now there are 2 of the most romantic words possible – Venice and lace. I want to hear that story Ingrid. I need to find those pictures Jennifer, I visited Venice on a whirlwind bus tour with my daughter, my mom and her living companion, many years ago. Michelle and I wanted to find two things, authentic Venetian masks and lace. We did. thank you for all your wonderful responses to Jennifer’s post. she is out this morning looking at fabrics – and will be back to you later to respond personally!! I’d be keen to know about the fabrics also! Is this for a Camino quilt, perchance? Dear Anne, I collect fabric everywhere I go. It is a way of getting myself out of the tourist areas. Bill and I have had some extraordinary experiences this way. I’m not sure about a Camino quilt I haven’t found enough fabric along the way yet. But then who knows what will happen when I start walking. Thanks so much for noticing! A Camino quilt sounds really interesting. OH I envy you all. Fabrics and flowers, pastries and food, photography and walking. This will be so exciting. Hope you all blog a lot!!. So looking forward to meeting you too Steve. Thinking counts for everything I reckon. Steve – Jen will get back to you later, but just to say that there are bigger more maniacal people on this tour than me!! (like Arlene for starters!) (And Donna and Greg!!) (And I suspect Marie Basque is a bit maniacal too!!) I think on the scale of maniacs on this tour, I am well down the list. Gotcha beat Steve, I thought about walking five miles today! And I was feeling so proud. These replies get out of order but I just wanted to express how excited I am that you all are getting so close to your trip of a lifetime. I hope each of you blog ao we have lots to read and get each of your perspectives on the trip. Thank you Lynda – yes, it should be a lot of fun! And already I’m planning my next one!! Sorry I can’t go on this trip. However, it sounds like Arlene is already planning the 2015 Camino. I could be available for that one! Have to say, Bill, this early return is a lovely surprise !!! Dunno how Swannies are doing, BTW, but Monaco is liable to finish 2nd this year, so we’ll likely be back in the Champions League again soon enough !!! Hey Julian – lovely to hear from you!! I’ve been thinking about you over the hiatus, and wondering how you’ve been going with your injuries and training. And also thinking back over your incredible contribution to this blog last year. You really did bring an erudite and wonderfully informed energy to the blog. Your trekking in Burgundy sounds fantastic – and let’s hope you manage to avoid the crowds in summer. I have been watching Monaco’s progress – although i haven’t seen any games here in Australia. Our Aussie Rules footy season starts off this weekend in fact, and the Swannies are playing their first game on Saturday. So on the tour I’ll be wearing my red Swannies cap again! Anyway, great to have you baaaack here! Dear Marie, looking forward to spending time with you. Jennifer, thankyou so much. I am looking forward to following the Portuguese PGS Camino. Would be interested in the stories through fabrics and textiles you find. I was surprised how few quilts / fabrics / textile creations I saw in Spain last year, except of course, in the Santiago Cathedral museum. Isn’t it strange that so little is obvious? But they still sew so the fabric is there. It is hard to locate. It is a puzzle. I’ve never joined Facebook or any of the other Social Media other than the Camino Blogs. I clicked on your boards above and was very happy to get to view them. Loved all the flowers and fabrics. Think I will talk to my daughters tomorrow about the ins and outs of it so I can join and “follow” you. Great pics! Just like life you follow the prompts!!! It is lots of fun.